Naturally, I found the only spot for craft beer in town. 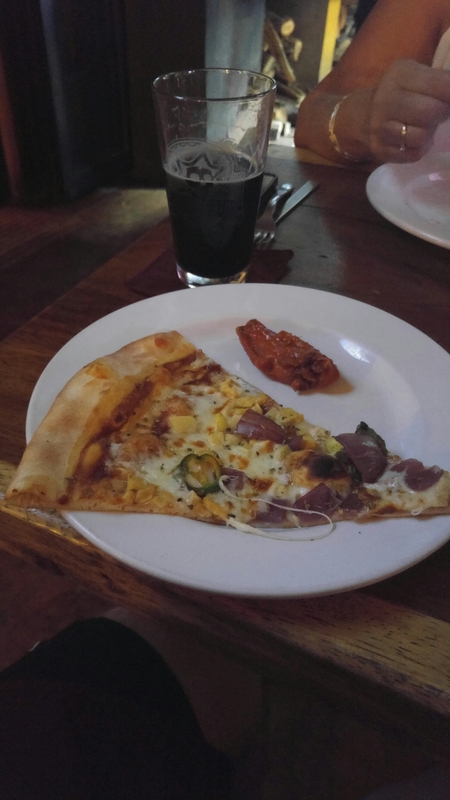 Not only is it a craft beer place, but they also make pizza. Pizza is a major staple in my diet. It keeps me happy like coffee and cigarettes keep other people happy. I walked past here every day for the first week, not wanting to tell Kristi I would rather just have pizza than anything else. 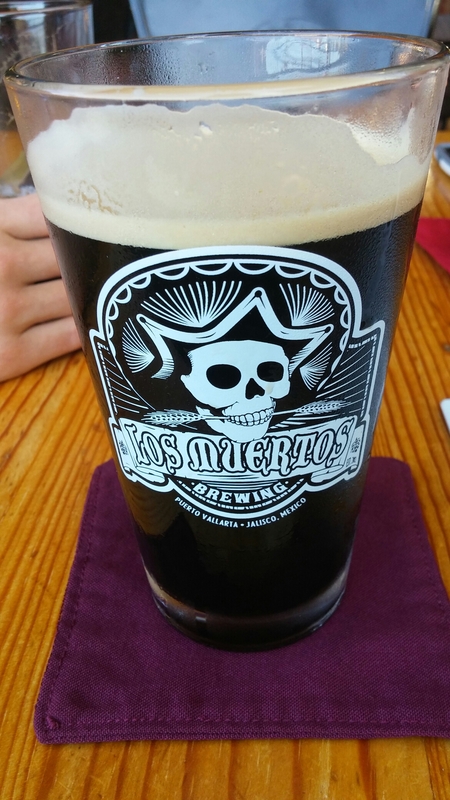 I was really excited to explore the street food but my heart skipped a beat the day we finally stopped in at Los Muertos Brewing. Puerto Vallarta doesn’t offer anything like this anywhere else that I’ve seen. 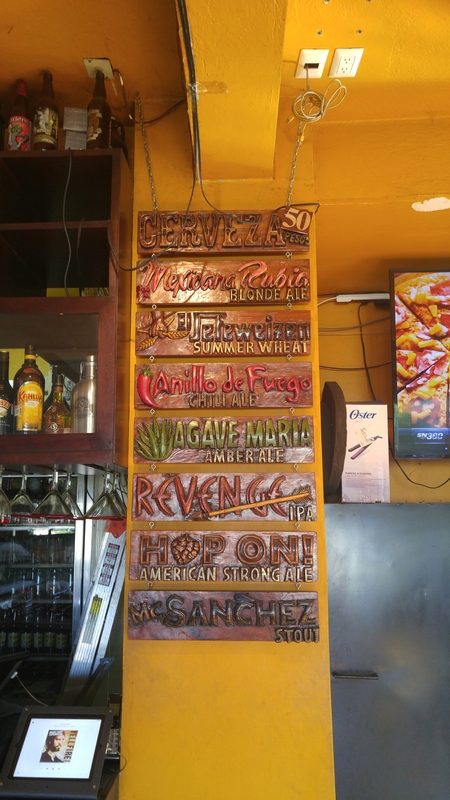 They offer a series of different beers for 50 pesos, and most of them are pretty good. The Anillo de Fuego Chili Ale is actually a really nice tasting beer because it has the actual flavor of chili without all the heat. My favorite? McSanchez Stout. Kristi’s too! 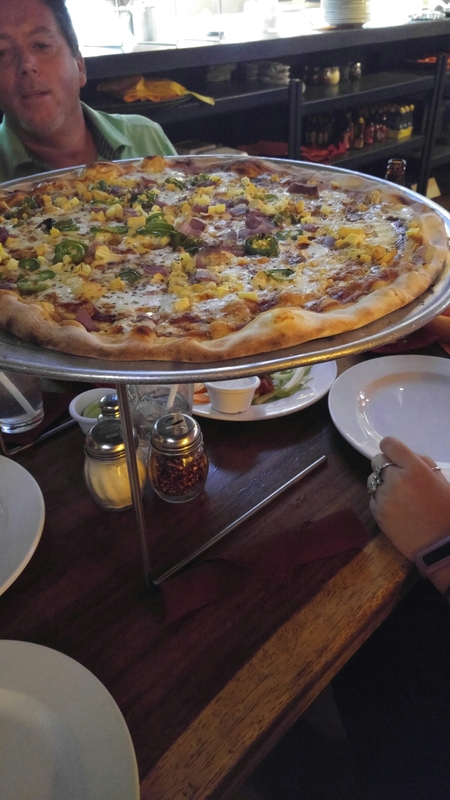 They only offer one size pizza so I was happy that there was 4 of us when we ordered it. They also offer Cheese, Pepperoni and Hawaiian pizzas by the slice for 30 pesos if you don’t want to commit 200 pesos for a full pizza you’ll never eat all of. Did I mention we’ve been back for happy hour? 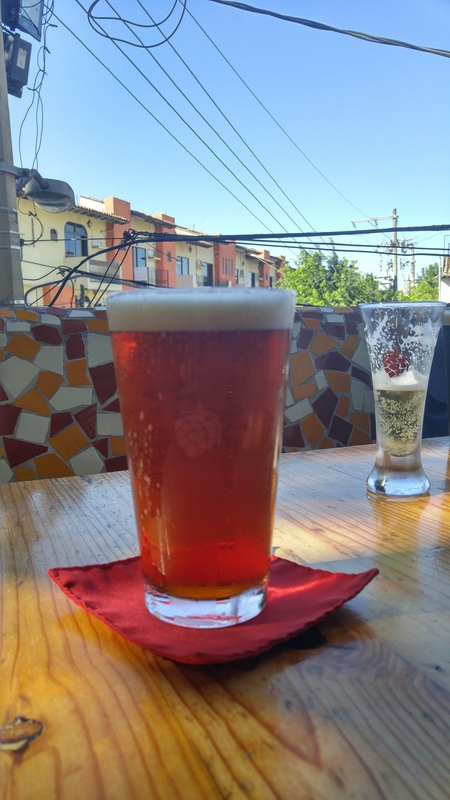 Everyday from 4-6pm they offer beers for 30 pesos. I’m in heaven. Funny to think craft beer and pizza would be a highlight on my trip but this is who I am. For the record, this is not sponsored content but I wish it was. Feel free to hook me up, Los Muertos Brewing!